Ok, I did it! I made my 10,000 word goal for “Everything For Love”. This puts me at 26,495 words for the manuscript. I’m trying to write my first full length novel, which would need to be around 50K. So, this puts me over 1/2 way through the novel. I’m also considering entering it in Kindle Scout. The word count for that needs to be at least 50K. So, I still have a fair way to go. So, now I have to head to plan B. CampNaNo has gotten me a good way through the novel. But the middle to end I think is the hardest to write. I have an idea where to go, but I’m used to writing novellas. I need to make sure I flesh everything out. Keeping this in mind, I’ve signed up for a romance writing on-line course through my local junior college. 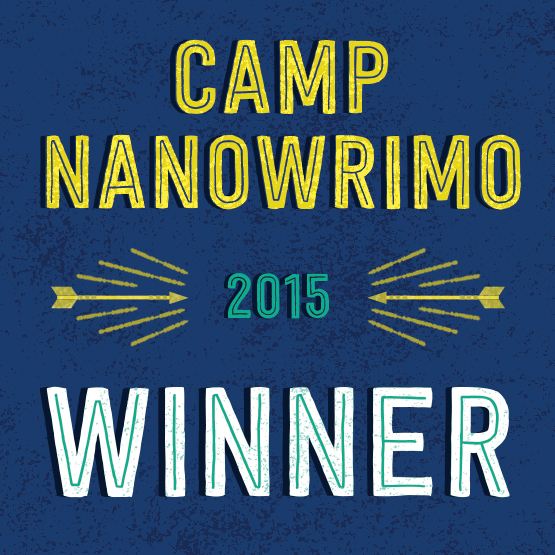 CampNaNo is a great way to write or start a novel. But I need some hand holding and craft study to finish it. All I do so far are the full length so I know how hard it is to keep it going in the middle. You’re so far in and you’re thinking… you know where you want it to go but there soo much in the middle that you need to do and what happens if I do this…. or that…. The middle can change everything! But it’s fun! Keep at it!